The family thought the little house they had made themselves in Elmet, a corner of Yorkshire, was theirs, that their peaceful, self-sufficient life was safe. Cathy and Daniel roamed the woods freely, occasionally visiting a local woman for some schooling, living outside all conventions. Their father built things and hunted, working with his hands; sometimes he would disappear, forced to do secret, brutal work for money, but to them he was a gentle protector. Narrated by Daniel after a catastrophic event has occurred, Elmet mesmerizes even as it becomes clear the family’s solitary idyll will not last. When a local landowner shows up on their doorstep, their precarious existence is threatened, their innocence lost. Daddy and Cathy, both of them fierce, strong, and unyielding, set out to protect themselves and their neighbors, putting into motion a chain of events that can only end in violence. As rich, wild, dark, and beautiful as its Yorkshire setting, Elmet is a gripping debut about life on the margins and the power—and limits—of family loyalty. Fiona Mozley was born in Hackney but grew up in York and studied at Cambridge before moving to Buenos Aires for a year—without speaking any Spanish. After briefly working at a literary agency in London, she moved back to York to complete a PhD in medieval studies. She also has a weekend job at the Little Apple Bookshop in York. 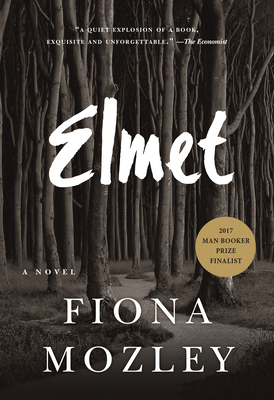 Elmet is her first novel and has been shortlisted for the Man Booker Prize 2017.